New research shows there might be health benefits to eating certain types of dark chocolate. Findings from two studies being presented today at the Experimental Biology 2018 annual meeting in San Diego show that consuming dark chocolate that has a high concentration of cacao (minimally 70% cacao, 30% organic cane sugar) has positive effects on stress levels, inflammation, mood, memory and immunity. While it is well known that cacao is a major source of flavonoids, this is the first time the effect has been studied in human subjects to determine how it can support cognitive, endocrine and cardiovascular health. Lee S. Berk, DrPH, associate dean of research affairs, School of Allied Health Professions and a researcher in psychoneuroimmunology and food science from Loma Linda University, served as principal investigator on both studies. The flavonoids found in cacao are extremely potent antioxidants and anti-inflammatory agents, with known mechanisms beneficial for brain and cardiovascular health. The following results will be presented in live poster sessions during the Experimental Biology 2018 meeting. This pilot feasibility experimental trial examined the impact of 70 percent cacao chocolate consumption on human immune and dendritic cell gene expression, with focus on pro- and anti-inflammatory cytokines. Study findings show cacao consumption up-regulates multiple intracellular signaling pathways involved in T-cell activation, cellular immune response and genes involved in neural signaling and sensory perception - the latter potentially associated with the phenomena of brain hyperplasticity. This study assessed the electroencephalography (EEG) response to consuming 48 g of dark chocolate (70% cacao) after an acute period of time (30 mins) and after a chronic period of time (120 mins), on modulating brain frequencies 0-40Hz, specifically beneficial gamma frequency (25-40Hz). Findings show that this superfood of 70 percent cacao enhances neuroplasticity for behavioral and brain health benefits. Berk said the studies require further investigation, specifically to determine the significance of these effects for immune cells and the brain in larger study populations. Further research is in progress to elaborate on the mechanisms that may be involved in the cause-and-effect brain-behavior relationship with cacao at this high concentration. Loma Linda University Health. 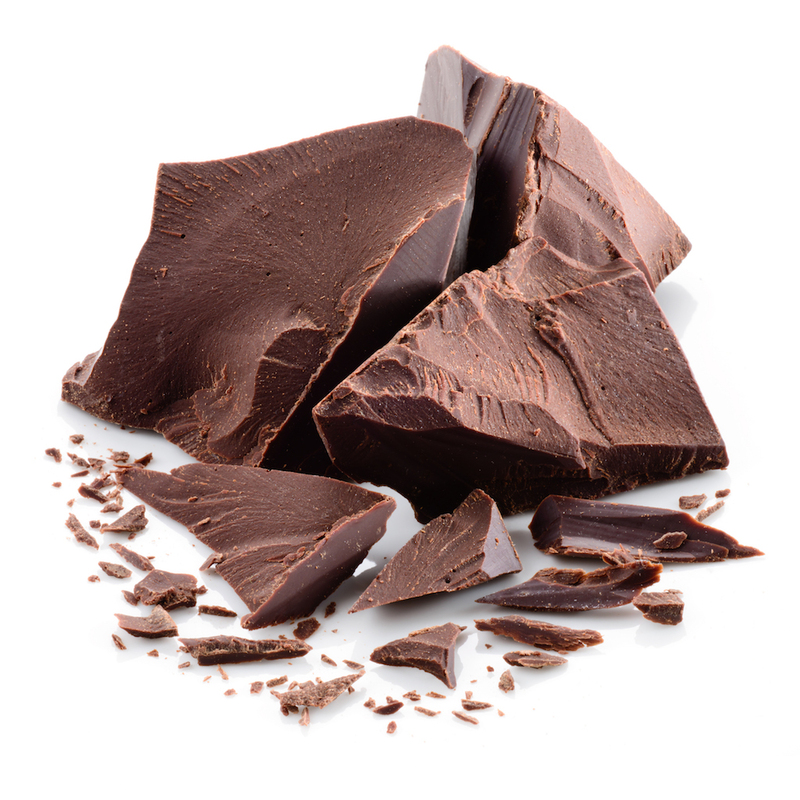 New studies show dark chocolate consumption reduces stress and inflammation, while improving memory, immunity and mood. LOMA LINDA, CA Press Release, 16 May 2018.